The First. 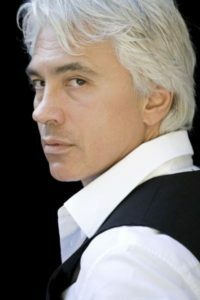 The world famous Russian baritone singer Dmitry Hvorostovsky (1962-2017) died in London not long ago. His talent as an artist and as a decent human being was so great that it is impossible to describe in words. It’s enough to look at his portrait and listen to his unrepeatable and unforgettable voice. The sincere intonations, pure vocals masterpiece and in general his charm and very rare abilities to communicate to ordinary people brought him not only love and respect from those who listened to him live even if it happened to be only once a life time. The Second. Canada has never had an all weather road to the Arctic Ocean. Historically, the only way of reaching communities that are in the northernmost reaches of the country was by plane,boat or ice road in the winter. This is changed now. The Inuvik-Tuktoyaktuk Highway (a 137-kilometre stretch of road) was opened in November, 2017 after 3-years construction, cost $ 300 million CAD. According to the Government of the North-West Territories the road will help bring tourism into the region, residents of Tuktoyaktuk will benefit from reduced cost of living, as goods will be able to be shipped year-around. A sit-down restaurant is already opened in Tuktoyaktuk. This road may indeed be the start of budding business in this small town and potentially in the region. The Third. 12,000 college workers represented by the Ontario Public School Employers, and the province’s 24 colleges, which are represented by the College Employer Council were on 5-week strike demanding the better payments and employment benefits. They were proposed 7,5% increase by the Government, they refused, so the Government passed the bill forcing them to go back to work. 500,000 students felt as if they were “caught in the crossfire” during Ontario College strike. One of the students said: “our education is being used as a bargaining chip”. The Fourth. One of a kind, new Prostate Cancer Centre in Calgary is located at the Rocky View General Hospital, working since 2010 on the basis of the new Southern Alberta Institute of Urology, world class leader in the research and delivery of urological care. There are 17 urologists, 4 of them are operating robotically. There’s the Man Van, Canada’s first and only mobile men’s health clinic, offering free PSA (Prostate Specific Antigen) blood testing for men aged 40-80 throughout Calgary and rural southern Alberta. One in seven men in Alberta will be affected by prostate cancer. When detected early it is very treatable. Men, be alert, please! The Fifth. A New Breakthrough in Quantum Computing is Set to Transform Our World. A 51-qubit quantum was unveiled to the world at the 2017 International Conference in Moscow. A simulator with 51 quantum bits is the largest of its kind so far. Mikhail Lukin at Harvard University announced the achievement on 14 July, stating the Quantum simulators are used o model the minute behaviour of molecules, and could help study how drugs act within a human body. Terry Fox Run in all Calgarian Schools on October 6, 2017.